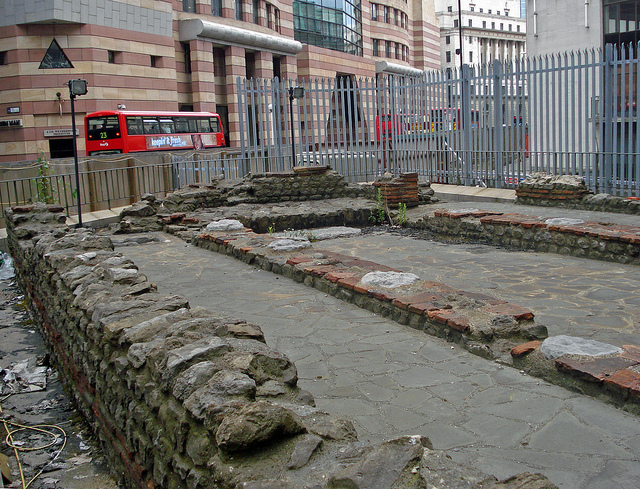 The City of London is home to a lot of history, including much from Roman times. Although there are few physical structures left to show that this city was once a Roman town, here are a few places you can visit to see something of Ancient Rome – and all are free! 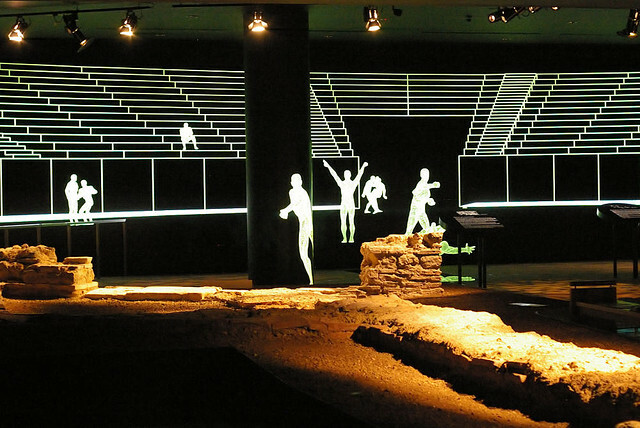 Only discovered by archaeologists in 1988, this is the site where the Roman people of Londinium gathered to see gladiatorial combats and public executions. 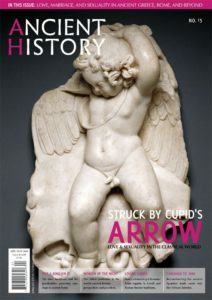 You can now find it on the bottom floor of the City of London’s Art Gallery. It’s free to visit, and open Monday to Saturday from 10am to 5pm and Sundays 12 noon to 4pm. Please visit the City of London website to learn more. The British Museum contains one of the largest collections of artefacts dating back from Roman times, including many found in and around Britain and London. For example, the object shown above, the Lycurgus Cup, dates from the fourth century AD and is made of a special glass that changes colour as light is shown in it. 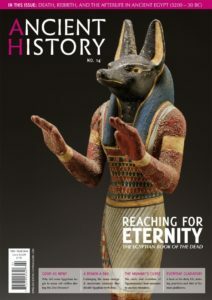 Most of the exhibitions in the British Library are free to enter, but please visit their website for more details. While the Church of All Hallows-by-the-Tower dates from Anglo-Saxon times, a discovery made in 1926 shows this site was also occupied much earlier. You can see this small section of Roman pavement, along with a few other Roman artefacts, in the crypt of the church. Please visit the All Hallows-by-the-Tower website for more details. Although this museum does not have the huge collection that you can find in the British Museum, there is much that is impressive to see, such as this 1900-year-old sculpture of an Eagle. Only found in 2013, it probably first served as to sit in alcove for a Roman tomb. 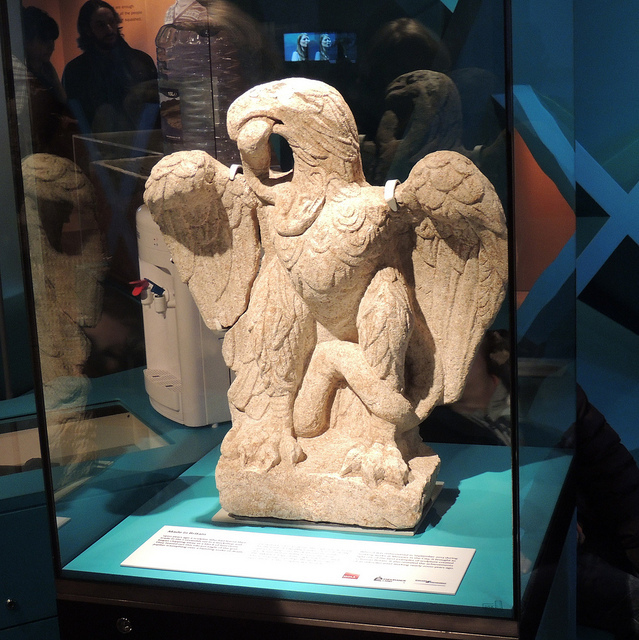 The Museum of London offers a more family-friendly experience and can be toured in just a few hours. Click here to visit their website. Although this site is at times blocked from the public because of construction, the foundation of the Temple of Mithras was discovered in 1954. The temple dates from the third century AS and was originally dedicated to Mithras or perhaps jointly to several deities popular among Roman soldiers. Then it was rededicated, probably to Bacchus, in the early fourth century. You can stroll by it near the intersection of Queen Victoria Street and Walbrook.